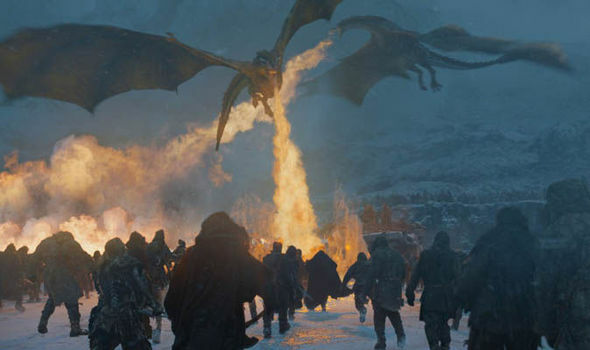 Game of thrones the most watched TV show in history. And Game of thrones season 7 is soon going to come. This show is a masterpiece in showcasing politics, manipulation and modern face of society (which is evil cruel and selfish). If you haven’t watched this exceptional show I suggest you to drop this and watch it right now, as the following article is dark and full of SPOILERS!!! Let’s watch the latest trailer of Game of Thrones Season 7 and discuss the most anticipated things in this coming season. You need to be well versed with the characters and story so far! Here are 7 things that you need to watch out for in Game of thrones season 7! Petyr baelish aka Littlefinger was majorly responsible for all the chaos right from where the story begins. Secretly plotting from assassinating Jon arryn and then, Catylen stark’s sister, Lysa arryn to swiftly turning his back on Lannisters with house Tyrell to kill joffrey baratheon. He is much more than a master of coin, in fact a master of plotting his way up to the top most powerful families. Now, he has his eyes on the Winter fell. Playing with words in Sansa’s mind he might just be able to pull chaos in his surrounding yet again! Pitting the sibling against each or being able to gain support of Starks he will create more war and lay human waste. Just look at his creepy face in video it says that Game of Thrones Season 7 is going to be the deadliest. “Winter is coming! !” we have been told a dozen of times by dozen of characters. This season it looks like winter has come! John snow the only sensible person in the north sense what is coming and what will happen if he ignores this fact. John snow has faced the white walkers and he knows they are coming with all they have. It looks like Jon Snow will have the brotherhood without banner and onion knight (ser davos) by his side in this Great War against white walkers. As the voice-over of Jon snow suggest (for years our families have fought together …. ), we could experience the duo of Hound and Jon snow which could be one hell of a team up (plus some talks about arya stark between the two). Jon snow defending the wall against white walkers is going to be epic! Not all Starks are dead (hopefully!). The Jon snow and Sansa Stark reunion was a great moment last season. This only makes us wonder about the other Starks. While, Arya Stark has avenged her mother’s and brother’s death, Bran Stark has revealed many interesting truths about the past (about Jon snow’s true parents and white walkers). A Stark Reunion could mean many things as a trained assassin Arya would help Jon snow and Bran’s warring ability combined with his acquired knowledge could finally give us some insight on how to defeat the white walkers. This reunion could be a strong point in story of Starks and should happen as soon as possible in Game of Thrones Season 7! On topic of Starks, Sansa’s words in final moment’s “When the snow falls and the white wind blows, the lone wolf dies but the pack survives”. Rickon stark death was something made the audience snap and made us feel they are back at killing Starks again! Now these words mean a lone wolf dies but the pack survives basically Starks will reunite but also one of them might die? Maybe Baelish pulled some strings behind the back? Fact remains, another stark death would make audience really mad! Starks have been slaughtered from the beginning (Also, remember red wedding? *cries in corner*). Recently Arya stark and Jon snow stories have done some justice to the Starks but don’t kill another wolf! GodDammit! (I swear by the old gods and new gods). Daenerys and her Dragons are going to do something LIT! Daenerys army and dragons have grown big, I mean really big! The dothrakhi’s, Unsullied and various eastern armies have been conquered the queen of andals and this mother of dragons is all set to burn the Queen of kings landing who recently burned them all. An epic showdown for the iron throne between Daenerys and Cersei lannister is coming. It would the big war of this season. While the odds are in favor of the young khalesee, fire has been the most powerful weapon of Lannister’s. Remember the battle of Black water bay? The wild fire which burned everyone? Can khalesee fight fire with fire or will the cruel cersei turn the fire against the unburnt queen? We are sure to find out! Cersei has secured herself on iron throne and burned her enemy’s down to ashes but for how long will she go before she makes new enemies? How long before someone she loves die again? Or how long before Jaime and her own try to over throw her empire? If you thought her crusade was over when she secured iron throne it didn’t. In fact, if history of this show is any proof the crusade has just began. How long will she survive before dragons invade the kings landing? Game of throne season 7 trailers have shown very less scenes or moments of the euron, yara and theon Greyjoy. 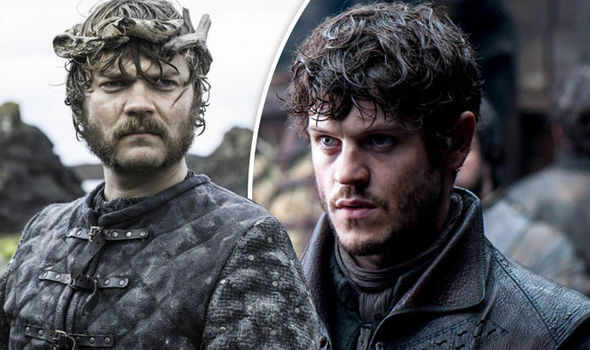 This could the element of surprise as Euron Greyjoy could eventually become the big bad next season. Euron and Theon Greyjoy have made their way to the Targaryen’s big army. Game of thrones season 7 plot has huge potential as euron would join hands with cersei and yara with Daenerys. We do some ship battle going on with theon barely walking or surviving while, yara is looking in complete despair. I really like how euron greyjoy’s character is turning out to be. This could truly be element of surprise as the house Greyjoy makes a difference to who ends up on iron throne! Game of thrones Season 7 is unpredictable and the ways events unfold is unexpected. Speculating what happens and theorizing the future story of Game of thrones is best fan service one could do. Plus, it’s really fun! Hit me up on my social media links, if you have some interesting theories or a point you didn’t agree on. Game of thrones season 7 is soon going to hit the small screens worldwide but its madness is going to be big!